To stay on top of any industry in today’s fast-paced world, you need an IT infrastructure that will provide your business with the freedom to transform and grow. Ripple Web is an Internet solution company in Northern California that provides reliable IT infrastructure to businesses of all sizes. 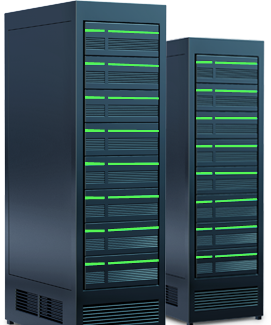 We provide competitively priced enterprise-grade dedicated servers, private clouds, and colocation solutions. Our fast, knowledgeable and exceptional customer service and our solid multi-homed network ensure that your business stays online all the time. Our management and technical teams have years of experience in the industry with 100s of satisfied worldwide customers as a testament to our commitment to your business. For your peace of mind we have a 100% Network Uptime SLA that shows you the confidence we have in our network. If downtime is not an option, then Ripple Web Services are for you. Ripple Web offers a wide range of servers to meet any of your infrastructure needs. If you are looking for the latest Ivy Bridge or Nehalem server or just a good quality server we have a solution for you. Our servers can be custom configured for the ultimate in performance, massive storage, or as a private cloud server. You will find we offer some of the cheapest dedicated server with the highest quality, enterprise-grade hardware. While some cloud service providers will attest that costlier is better, we can provide servers that can outperform other providers at a significant savings. You can have the best infrastructure available and a successful cloud deployment even with our cheapest dedicated server in Sacramento, California. Our whole team will be designing, deploying, and running your infrastructure so you can focus on the more important aspects of your business. Browse our available servers today or contact us for assistance. Our state of the art data center is ideally located in Sacramento, CA, close to Silicon Valley, but outside of any earthquake zone. With our redundant Tier 1 Internet providers, power, cooling, 24/7 security, and 100% uptime SLA, our colocation services provide the performance and reliability for any size organization. As a leading cloud service provider, our focus is building private clouds on dedicated hardware. We give our customers complete control over their private clouds so that all computing resources can be effectively managed to meet their objectives. A private cloud may be a single private cloud server that runs Centos, Ubuntu, Windows 2012 and Windows 2008 on a single dedicated box. It may be several of these boxes networked together. Or it may be an enterprise cloud with a number of processing nodes, dedicated SAN, private network and firewall. You may add a high performance server dedicated to your database as a key piece of your cloud. We work with our customers to build the right cloud solution that will meet specific your needs. Your employees or customers will have an improved experience that comes with a streamlined data infrastructure. Without interruptions and downtime, you can ensure an increase in productivity and ROI.
" Ripple Web is an outstanding organization with top notch customer service, highly recommended. " 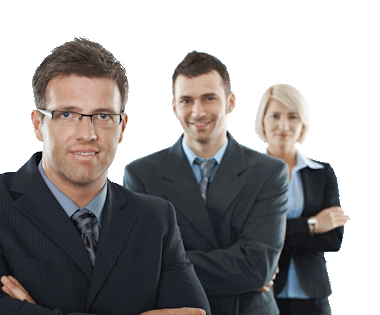 " In the past we have experienced nothing but trouble from sub-par server hosting providers. Our decision to go with Ripple Web was the best IT decision we ever made. Ripple Web's commitment to quality customer service and superior hardware means I no longer have to worry about the next time the server is going down. It simply never does. " " I have used multiple hosting providers over the years both large and small. There is no doubt that rippleweb has set a standard of hosting that was beyond my expectations in both price and prompt service. I wish I had found them sooner but certainly glad I did. Over the years I used there services not a single bad or even poor experience! " " Having a long history with Ripple Web's services I can say with confidence that they are one of the most reliable hosts I've ever used, and with the support and flexibility being equally excellent. " " RippleWeb rocks! We've been doing business with them for 10 years and we've always been treated well. Their team is excellent and very responsive. If you're looking for a good solid hosting company at a great price, look no further. Feel free to email me on LinkedIn for a personal recommendation. " " Ripple Web has provided us nothing but the highest quality of service creating a stable and secure platform on which to build our business. I would recommend Ripple Web to anyone looking for reliable servers or colocation. " " Going with Rippleweb ranks as one of my top 5 best business decisions ever. They have delivered me servers fully set up and hardware tuned to perfection. Tech requests are always acted upon within seconds of submission. In the past year that we have been with them, the network has never been down (we monitor each 2 minutes). " " I've been working with Terry @ RippleWeb for 5-6 years now and he is nothing short of fantastic to work with. Super responsive communication, great customer service and his pricing is the best I've found out there. I would highly recommend Terry and RippleWeb to anyone looking for hosting and colocation, you won't be disappointed! " " We made the switch to Ripple Web and have been pleased with the service. " Initially we were a little nervous about making the change but I have to say that our concern was not justified. Our support and initial set-up, while complicated, was handled professionally and quickly by the staff resources at RippleWeb. Every step along the way from initial quotation, to equipment preparation to hand-over was communicated to us in a more then timely manner. Network performance is excellent and the Quad-Xeon servers we spec'd out are blazing fast. I will go out of my way to recommend RippleWeb to my customers, colleagues and anyone who asks. It is refreshing to work with a company that backs up their services with knowledgeable resources that have the answers when we have needed the help. "